The Research team from University of Leicester, the Institut Laue-Langevin and the STFC’s ISIS pulsed neutron and muon source, presented this sensational method of increasing the confidence identification from latent identification fingerprints on knives, guns, bullet casings and other metal surfaces at the Royal Society of Chemistry’s Faraday Discussion in Durham. The most reliable evidence in Forensic science comes from latent fingerprints which were not immediately visible to the eye and thus it often proves difficult for the clarity in positive identification. 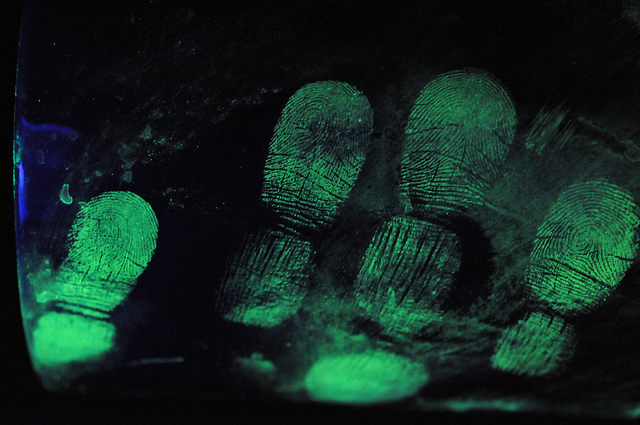 Despite of many techniques, statistics show only 10% of the fingerprints obtained from crime scenes are of sufficient clarity and quantity to be used in court. Focusing on the drawbacks researchers have developed this technique that is highly sensitive and shows clarified results even with tiny amounts of insulating residue, sample a few nanometers thick. This technique also focuses on the gaps between the fingerprints deposited. This technique has already proved its ability to make positive identifications due to better sample resolution.